PRODUCT: WEATHERMASTER HIGH-PERFORMANCE POLYETHER SIDING WINDOW AND DOOR SEALANT, CLEAR COLOR, 10.1 OZ TUBES. 12 TUBES/CASE. PRICE/CASE. 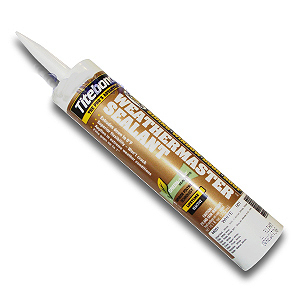 DESCRIPTION: Weathermaster Siding, Window and Door sealant is a high-performance exterior/interior Polyether sealant for use in both moving and non-moving joint applications. Proposition 65: This product contains no Proposition 65 listed materials.